the Concept Store and the Water Sports Center. 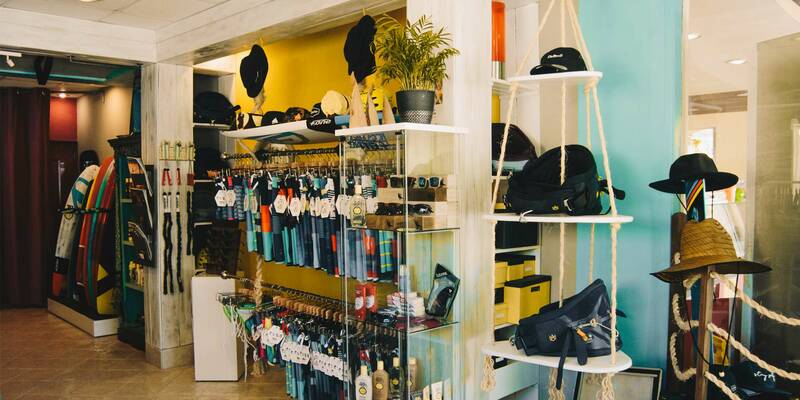 Our little Concept Store in Cabarete is unique, at least we like to think 🙂 . Unlike other brick & mortars we are a mix of an information center and co-work space with a retail touch. Here, anyone can come in to view the space, ask questions, shop or simply relax and chat with us. 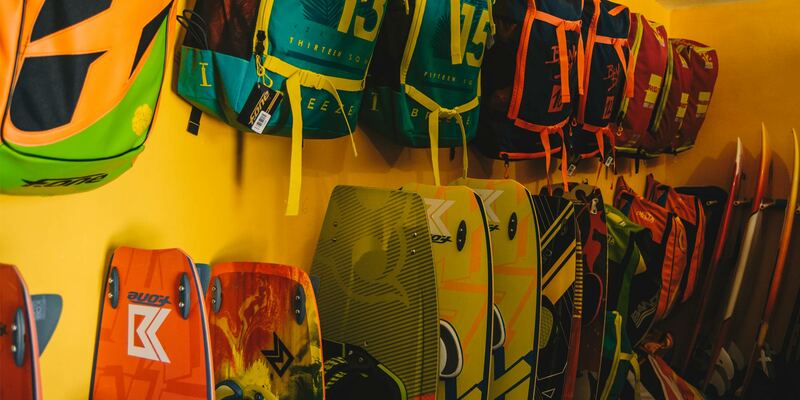 In the store we showcase and collaborate with some of the top global brands in the kiteboarding, surfing and adventure world. Brands like F-One Kiteboarding, Manera, Sun Bum, Futures Fins, Buoy Wear, Dakine, Proof Eyewear are present here. For as long as we can remember, we have always wanted to have a presence on the beach of Cabarete. Finally in 2018 that dream has materialized. We have opened our first water sports center on the main beach of Cabarete. The center is located right where the wind starts in the bay and positioned exactly where the waves remain manageable for swimming or learning to kite board. 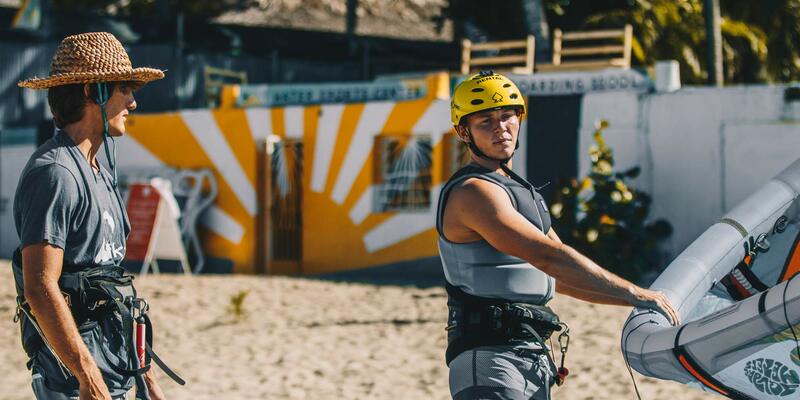 At the Center we are offering kiteboarding lessons, rentals, advanced coaching, repairs and stand up paddle board rentals. We are using the latest F-One and Manera equipment for teaching which makes our lessons safer and more enjoyable since the material is in great condition, always. If you are in Cabarete and want to have fun - visit us! We are conveniently located in the center of town and as well on the main beach.